VCSE first read about Scott Sunderland’s short-lived tenure as a DS at Sky in Richard Moore’s updated ‘Sky’s the Limit’ book. As UK cycling writers go, Moore is fairly prolific with recent books about Robert Millar and the 1986 Tour de France rivalry of Bernard Hinault and Greg Lemond. He also seems to be the go to guy from British Cycling’s point of view with books about the track programme as well as STL. 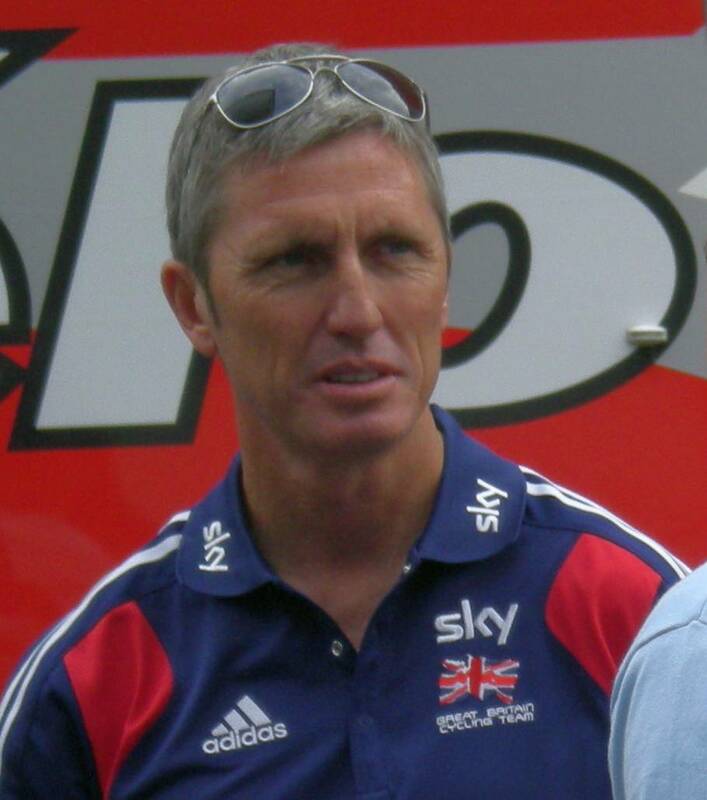 ‘Sky’s the Limit’ was written around the time of the teams inception taking into account the period leading up to last years success in the Tour. Certainly not the whole story but an interesting aspect was the period Scott Sunderland worked for the team. Sunderland’s take on the situation has to be interpreted but it does look as if he quickly became the square peg to Dave Brailsford’s round hole. What does become clear from the original portion of the book is that some of the ‘best laid’ plans and assumptions that Sky made about joining the pro peloton didn’t come to pass. From Moore’s text Sunderland is protrayed as a ‘traditional’ style DS, whereas Sky perhaps wanted more of an emphasis on the director element. Dave Brailsford’s acknowledged control freakery occasionally shows through while never that far from the surface. All of this remains a cameo in the overall tale, now updated with a chapter on Bradley Wiggin’s 2012 triumph. Perhaps never to repeated, that is a story for another day. The reason for this article is from another one VCSE came across this week on Cycling Tips (link below). This site comes out of Australia so the guys behind it are well placed to tell the tale of the ex pro rider. Sunderland appears regularly on the SBS channel in Australia who carry most of the racing coverage down under and also made the ‘Hell of the North’ documentary shown on the VCSE YouTube channel. Sunderland’s story is definitely a triumph over adversity and to an extent is not over yet, particularly in relation to an ongoing court battle with the erstwhile TVM team following a horrific accident involving Sunderland and the team car when he was riding for them in 1998. With experience of riding grand tours and the big one day races Sunderland was a sought after super domestique and can claim to have helped a number of riders to their greatest results including Eurosport colour man Magnus Backstedt at Paris Roubaix in 2004. For a rider who apparently once so disillusioned with doping practices in the peloton he considered quitting the sport it seems ironic that Sunderland ended up working for Bjarne Riis at CSC. The article doesn’t dwell on that contradiction but hired as a classics specialist Sunderland enjoyed plenty of success with CSC with victories for riders like Fabian Cancellara and compatriot Stuart O’Grady. Sunderland has also had an element of ‘square peg’ syndrome while working with the UCI, but rather like his Sky experience it isn’t being charitable to suggest that the reality of the situation didn’t match the brochure. Now working with Cycling Australia in addition to his TV work, thanks to Cycling Tips for enlightening this northern hemisphere fan.